Sport has never been so much fun. Your community manager here writing to you in the middle of the night. Yesterday the team met up in Helsinki. Well all but me because I am stuck in Sweden for now. I hope to join the others shortly though to spend some time together and work on our marketing strategies. It’s now been almost 3 months since we released the game on Steam Early Access and the response is good for being a multiplayer game that is still not online. We hope to change that pretty soon though. Other things we will be working on in the near future are tactics, substitutions, penalties, free kick walls, yellow and red cards, suspensions, injuries etc – basic stuff in football that are still not in our game. Don’t expect it all to come at the same time, but expect it to slowly arrive, step by step. We had our first reduced price when we put the game on holiday sale for 14.99€ and that sold us a few extra copies even bringing us to the “top sellers” on steam sports games for a while during Christmas. Now we are back at €19.99 again. Thanks to all our fans for buying the game and following us – it means the world. So the community. Yes the community is very active on Discord, and on our FB and Twitter and I get the question “when is it out on PS4 and Nintendo Switch?” a lot. All we can say right now is that work will begin on console and mobile when the Steam Early Access Windows version is finished. We need to finish it on one format before we go on to another. Hopefully once it is finished on Windows the conversion to other formats won’t take that long. We also have the real FIFA World Cup to look forward to and I would love for us to have a Single player World Cup Career Mode. In my fantasy you would pick your team, pick your squad, keep morale high in the squad, answer to the media, collect manager points for results, unlock classic players, etc etc. For me that would be a dream and something with a real replay value. I’m visionary and none of the above has been taken on by our designer yet, but you can still dream right? Thanks again for your support and I’ll make sure you guys are in the loop as much as possible in 2018. Stay Sociable everyone! Previous PostPrevious Merry Christmas and a Happy New Year to all of our fans and followers! 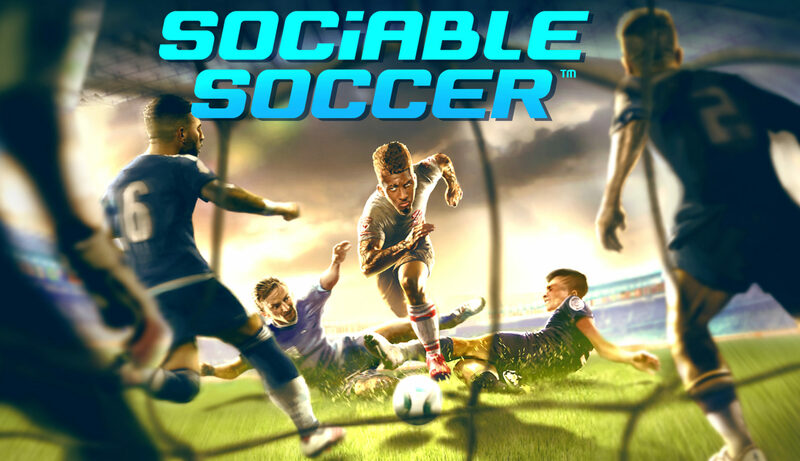 Sociable Soccer wows Women’s Esports Championships and wins award as China’s most anticipated game for 2019.